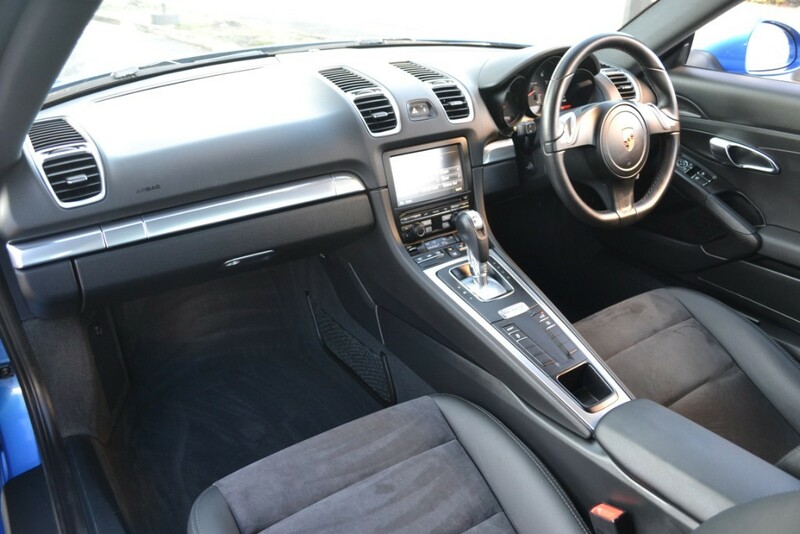 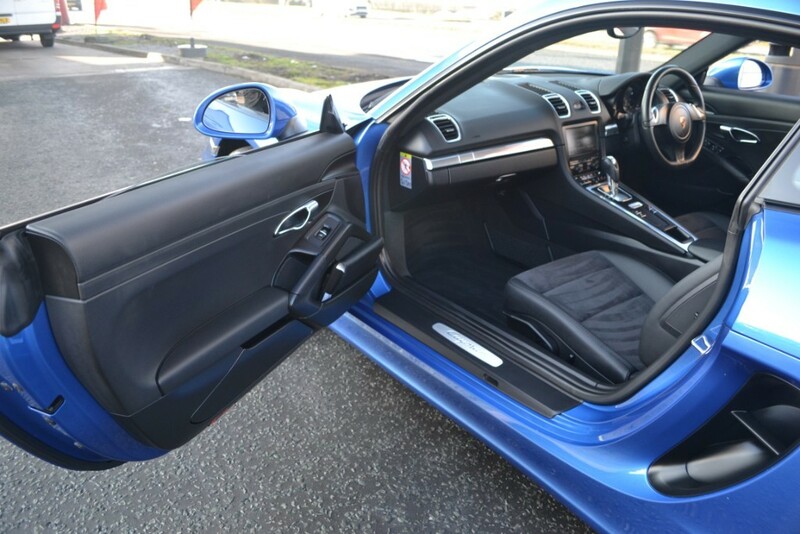 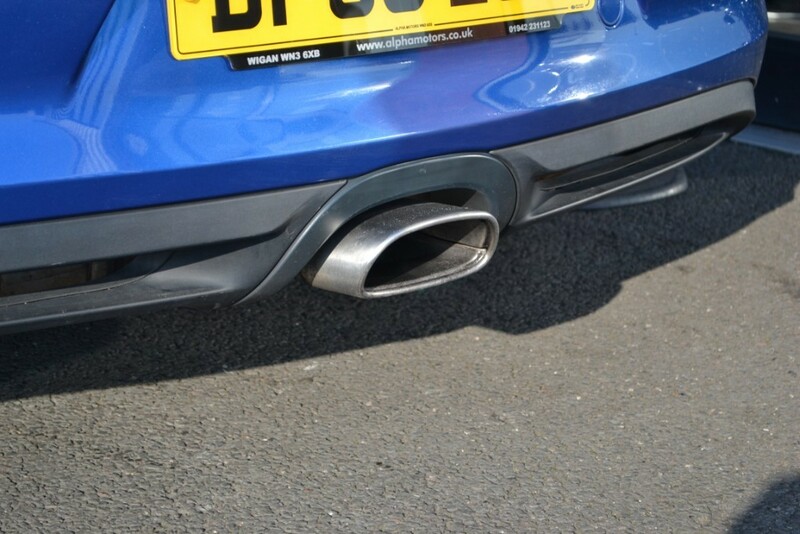 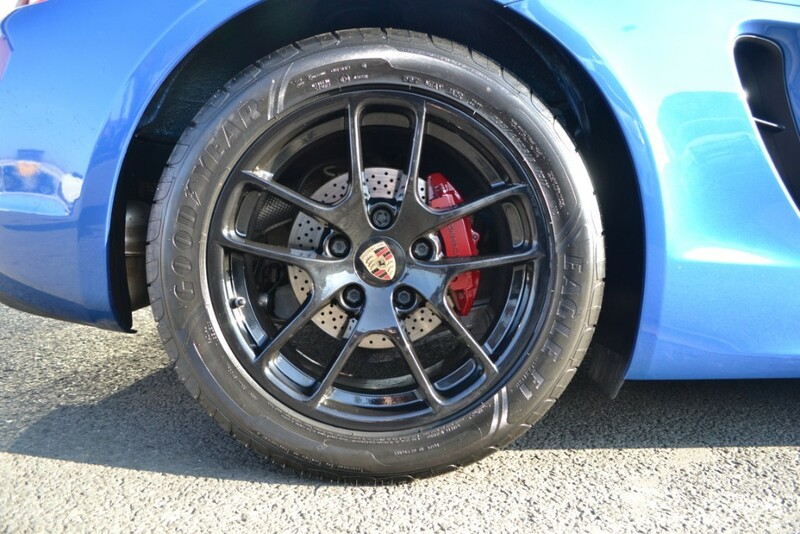 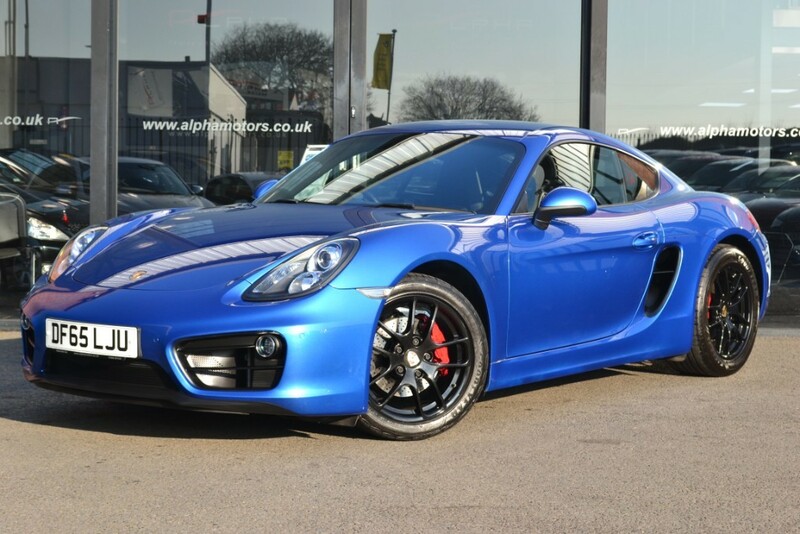 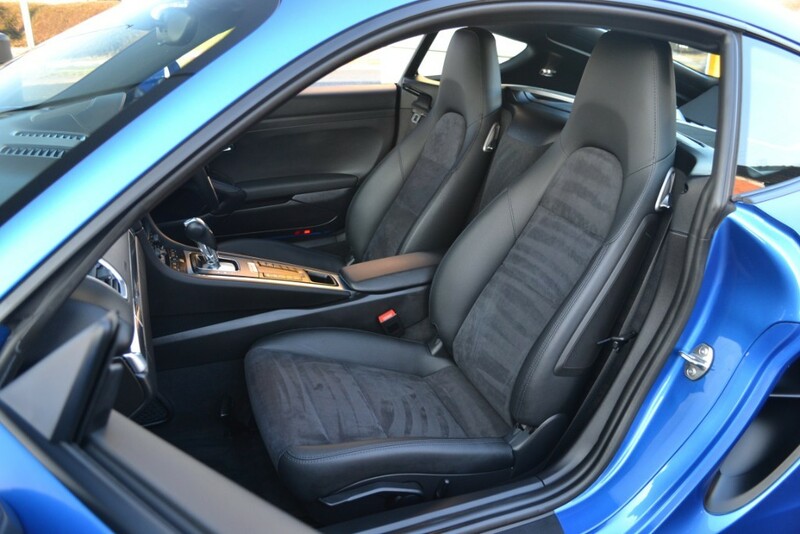 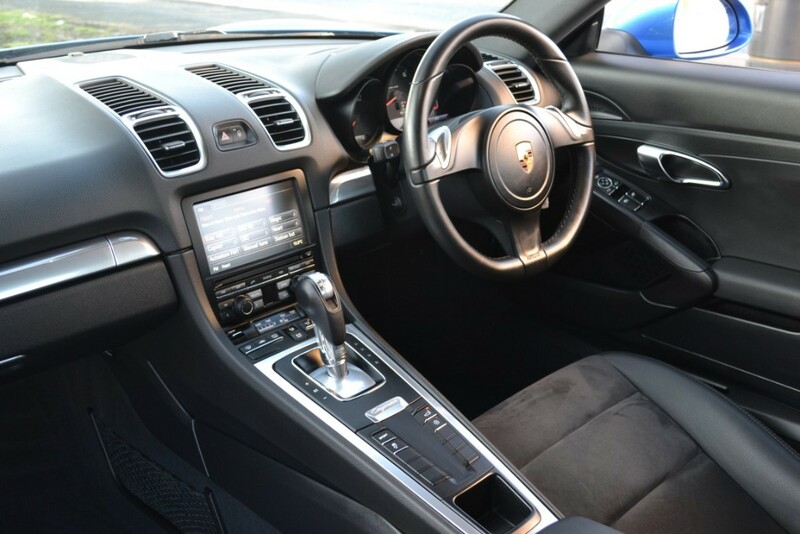 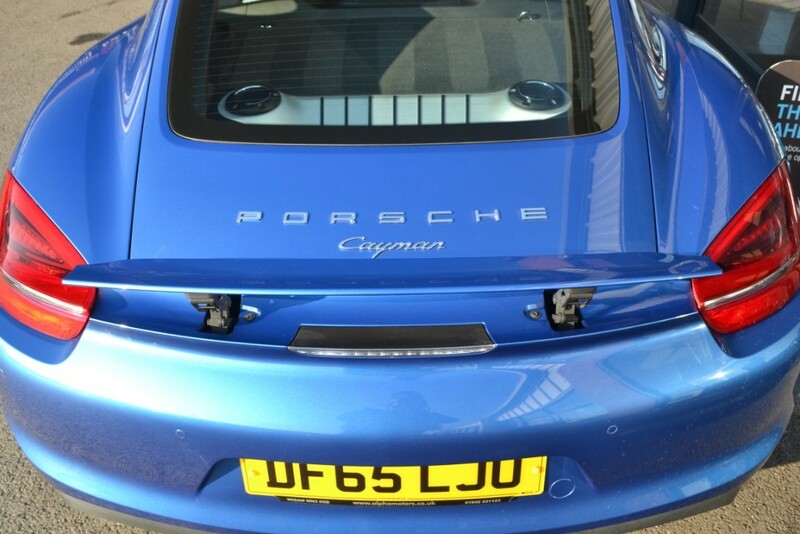 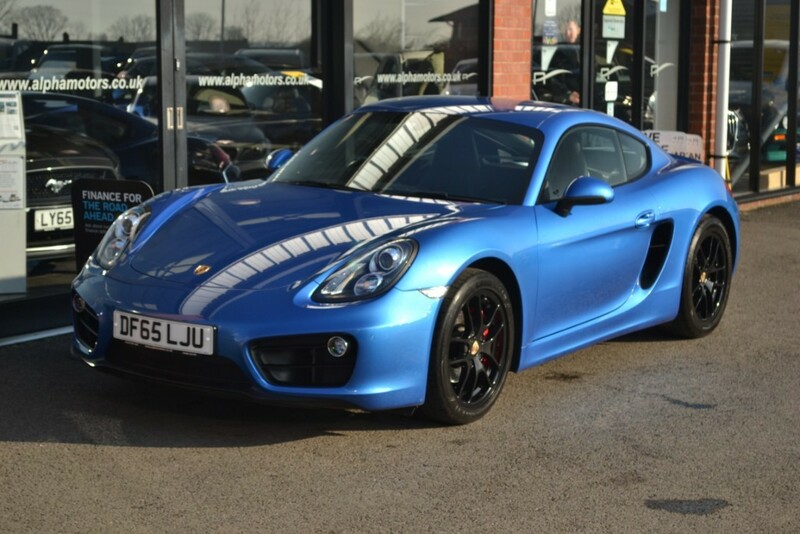 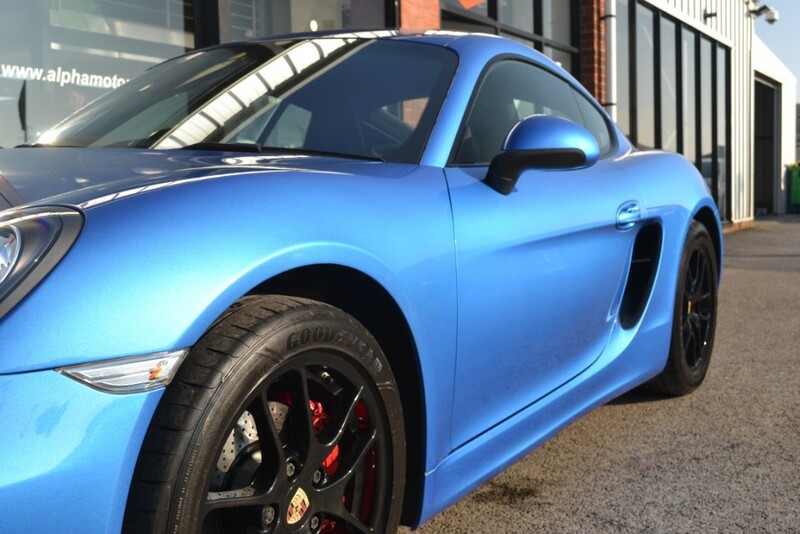 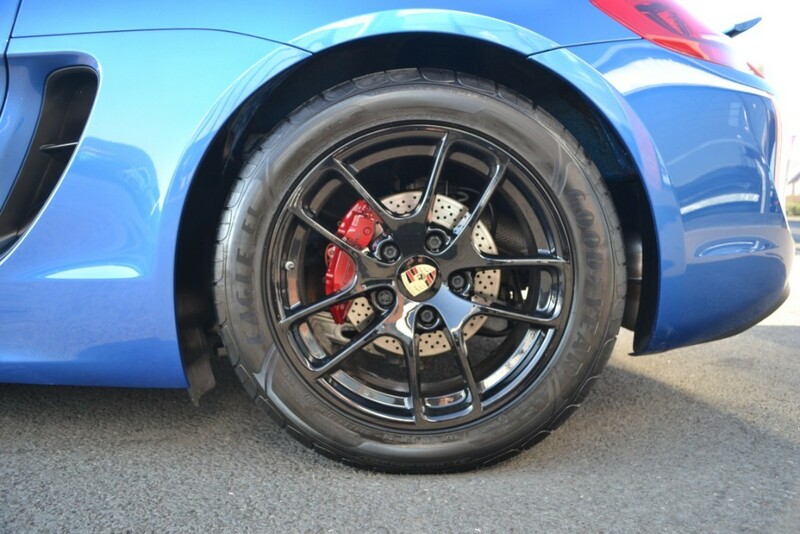 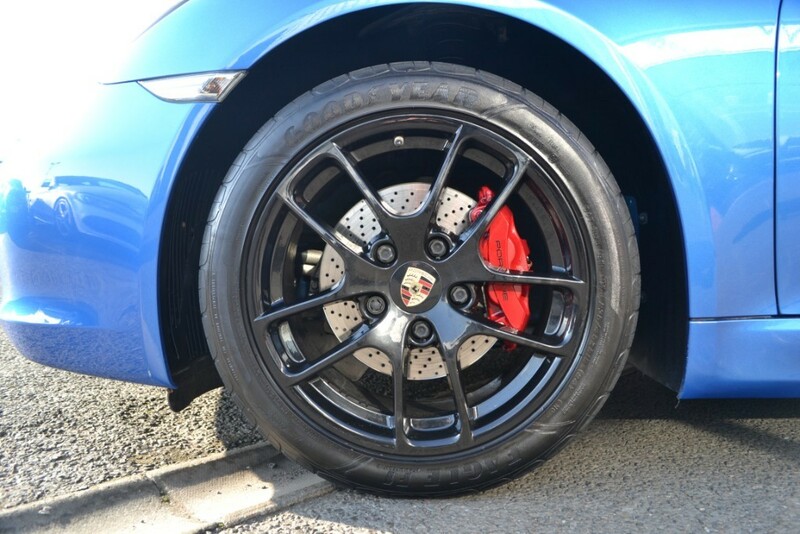 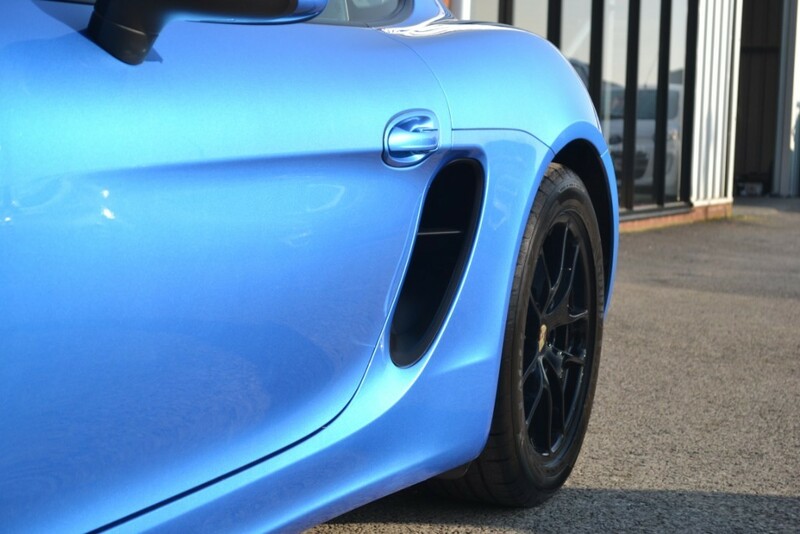 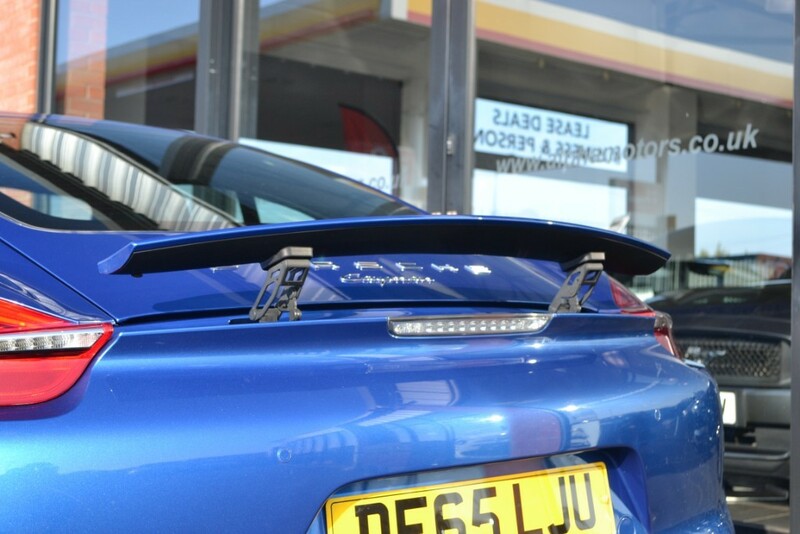 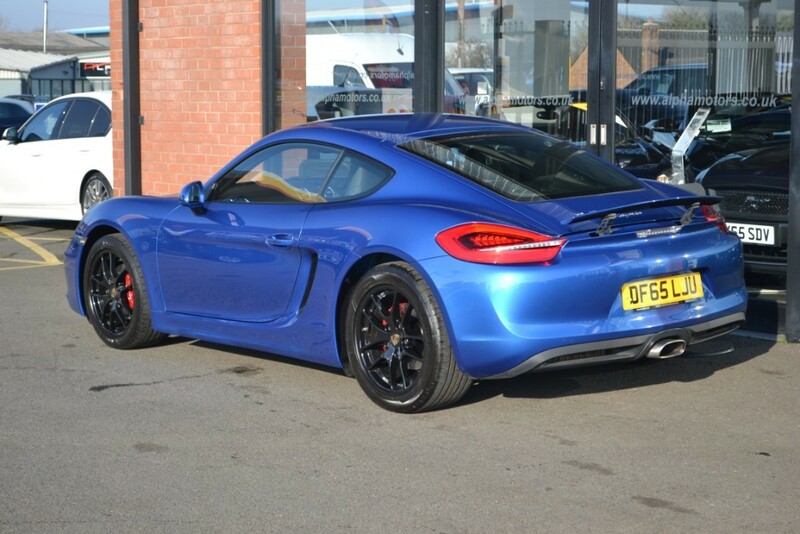 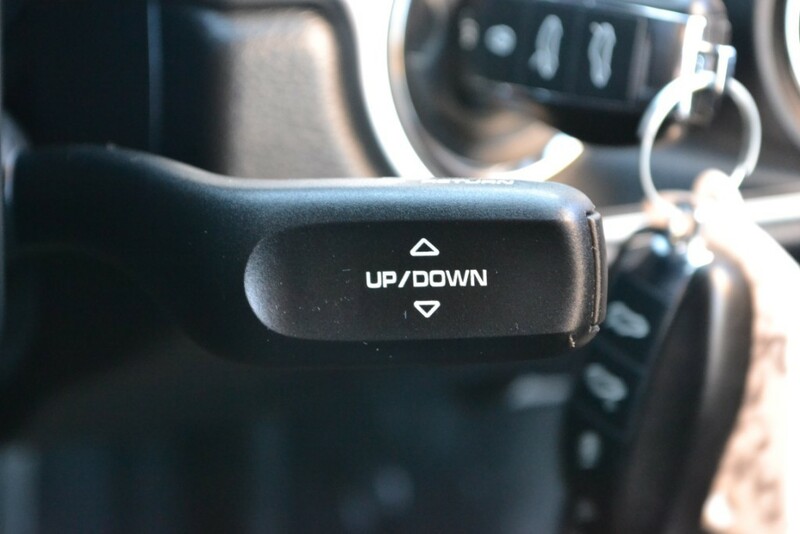 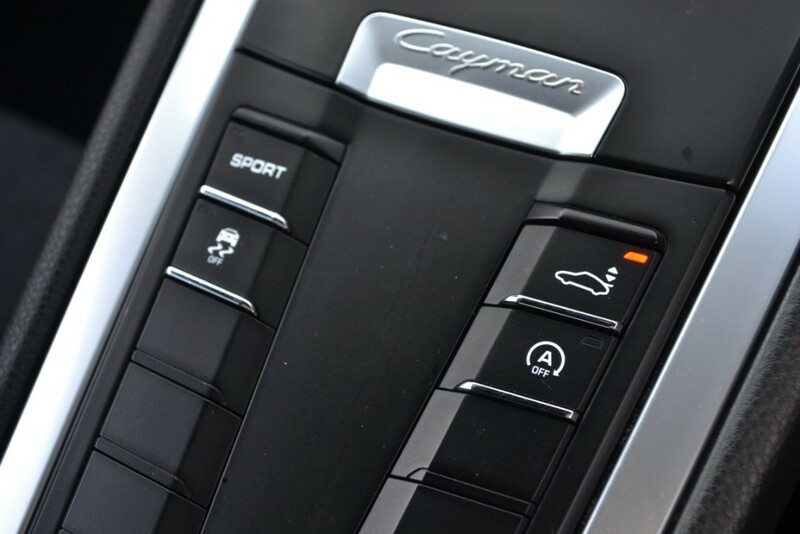 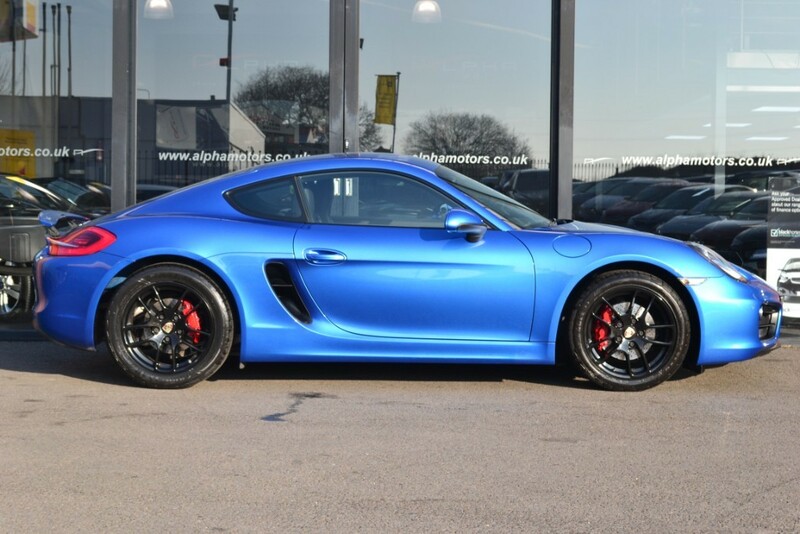 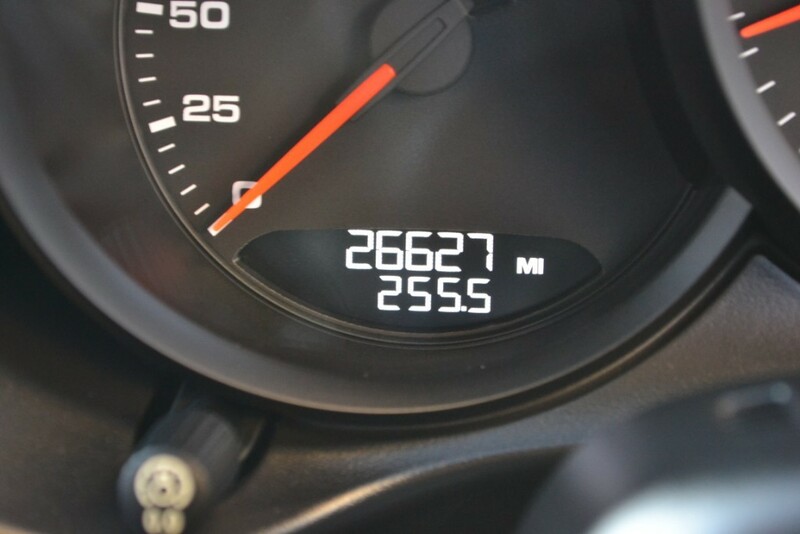 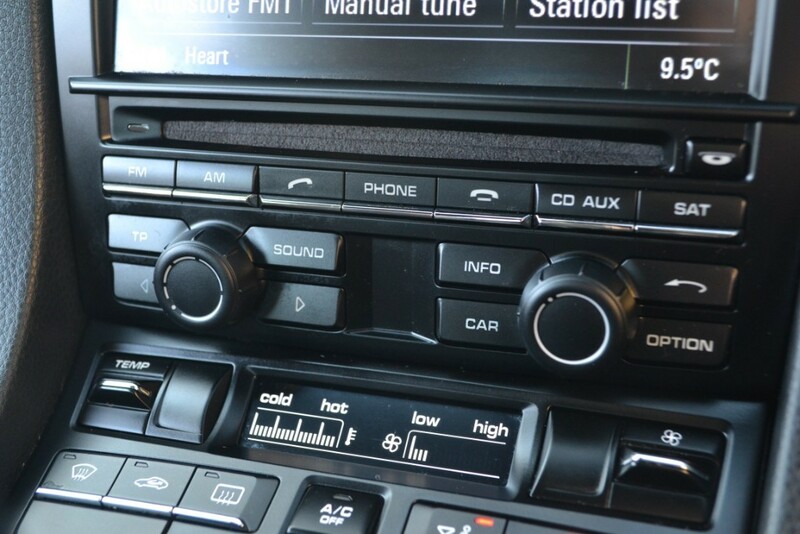 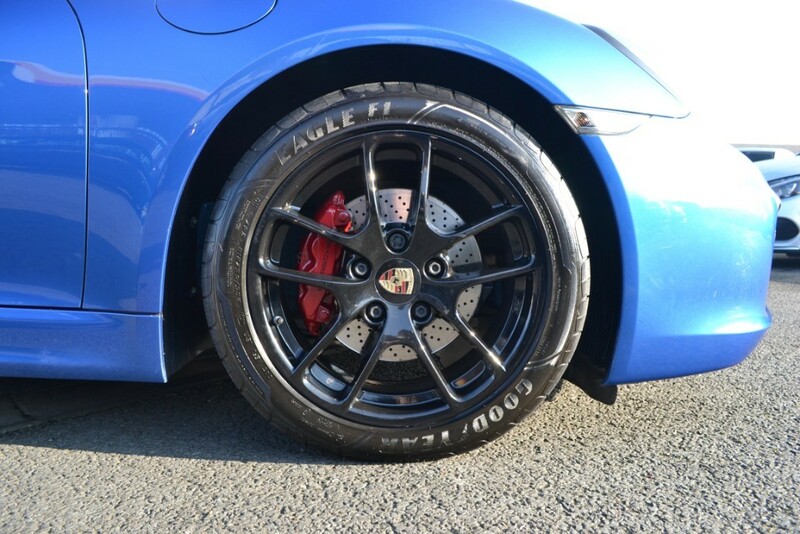 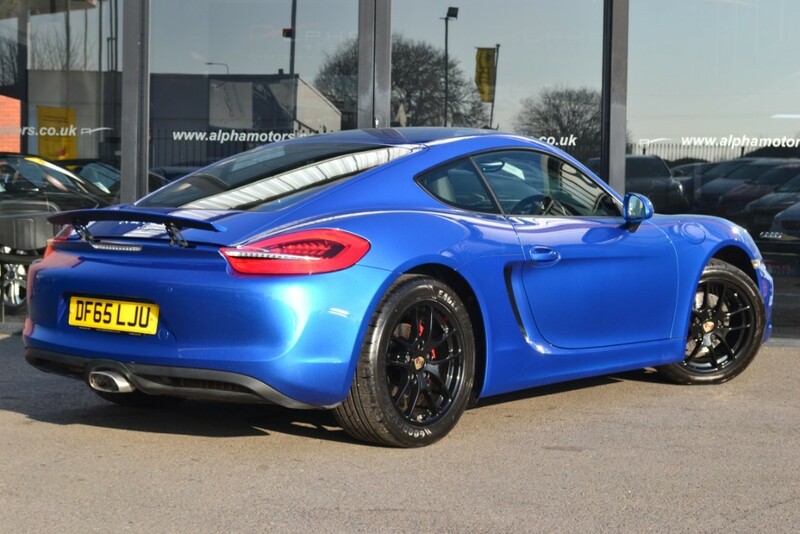 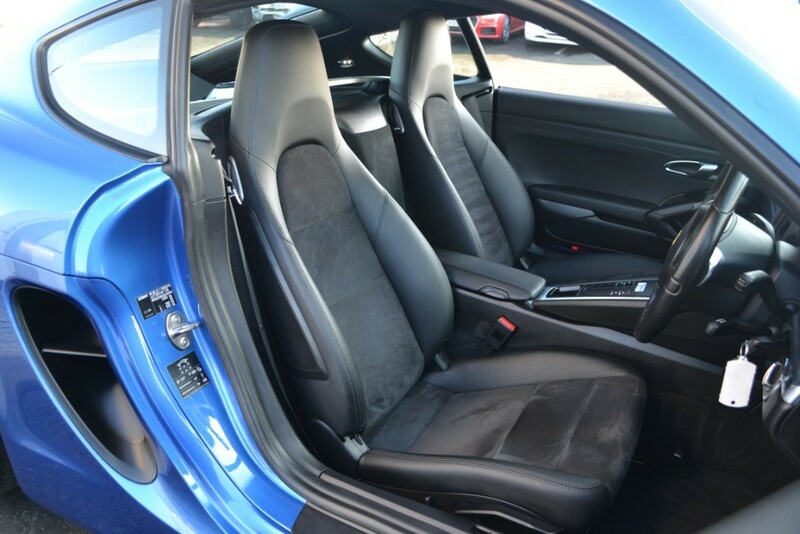 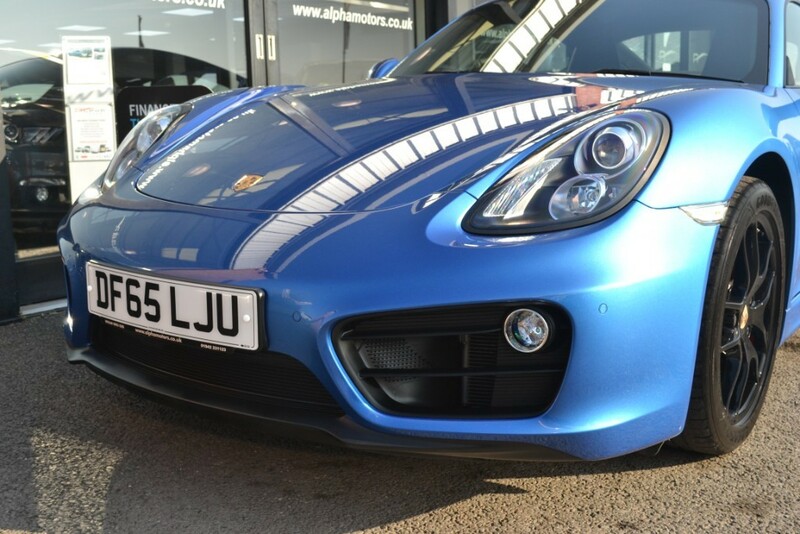 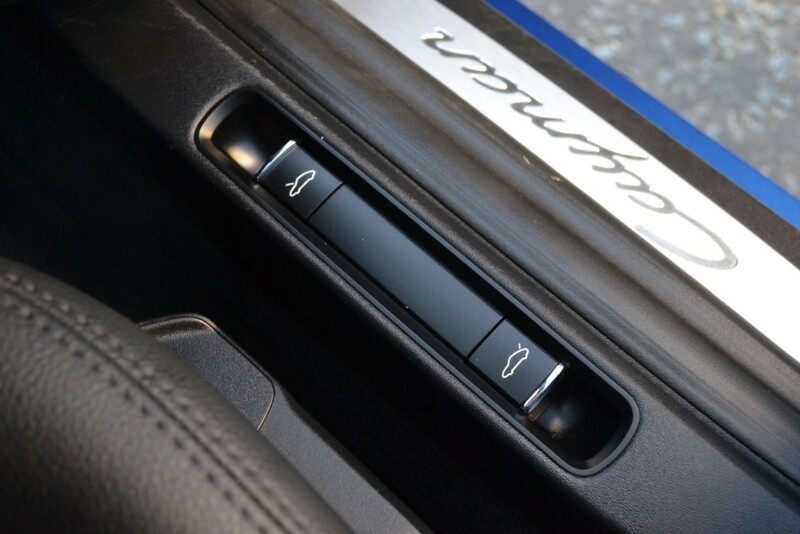 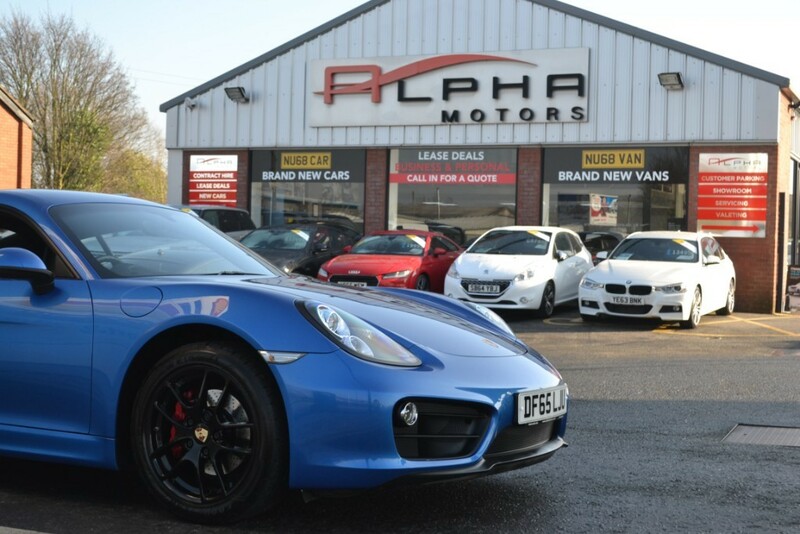 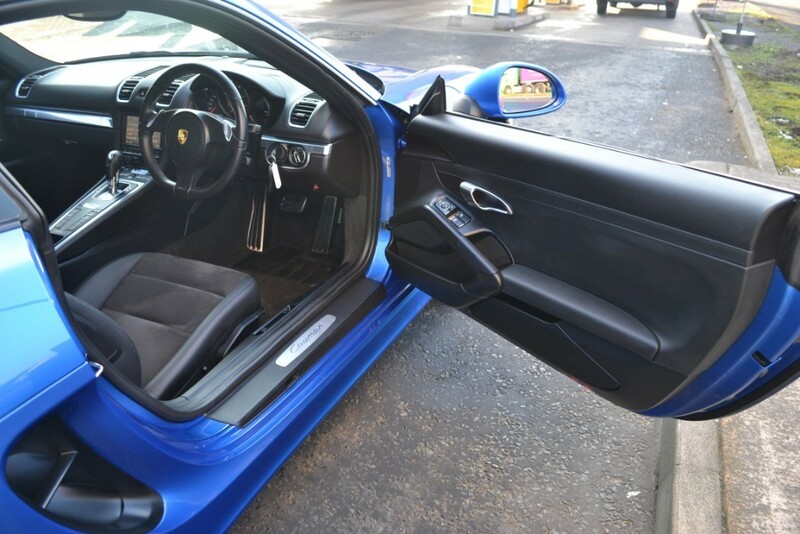 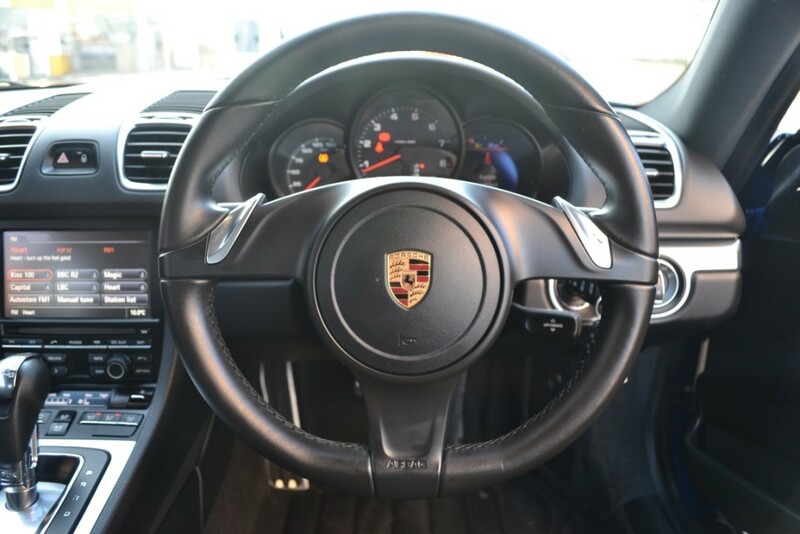 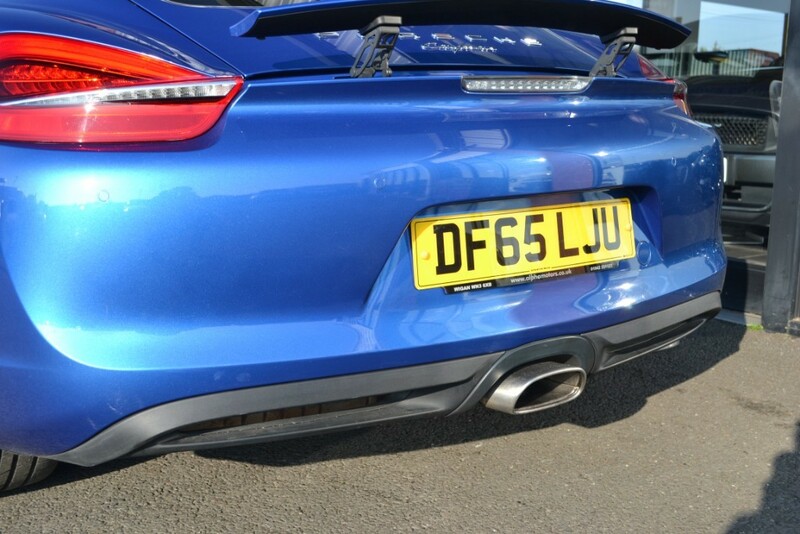 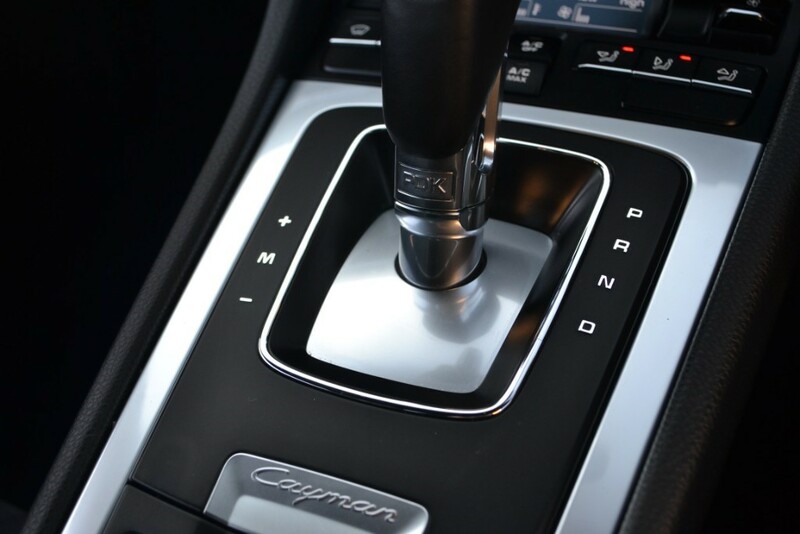 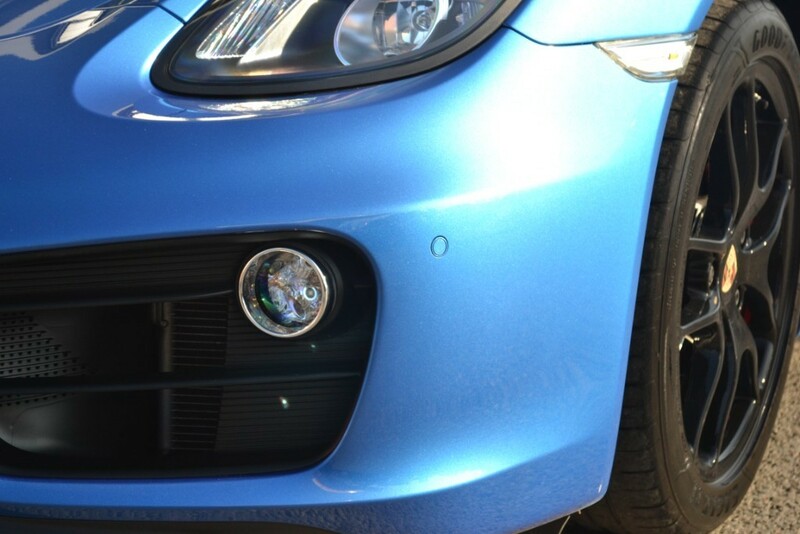 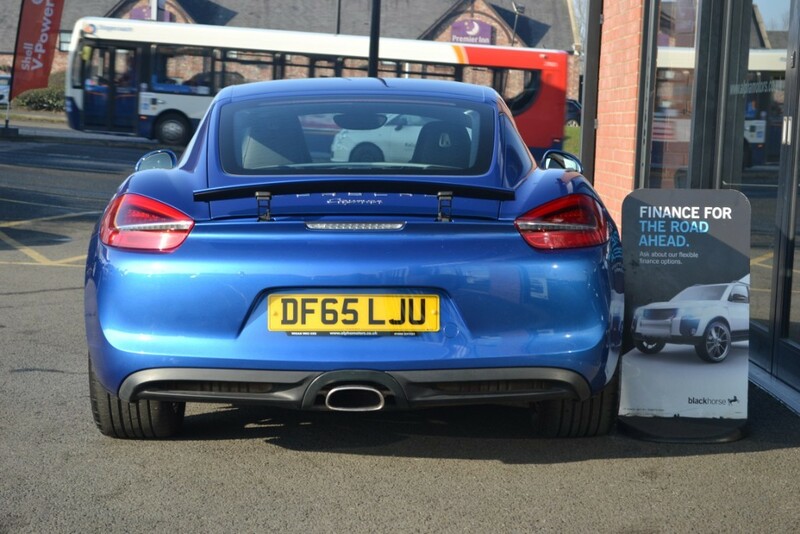 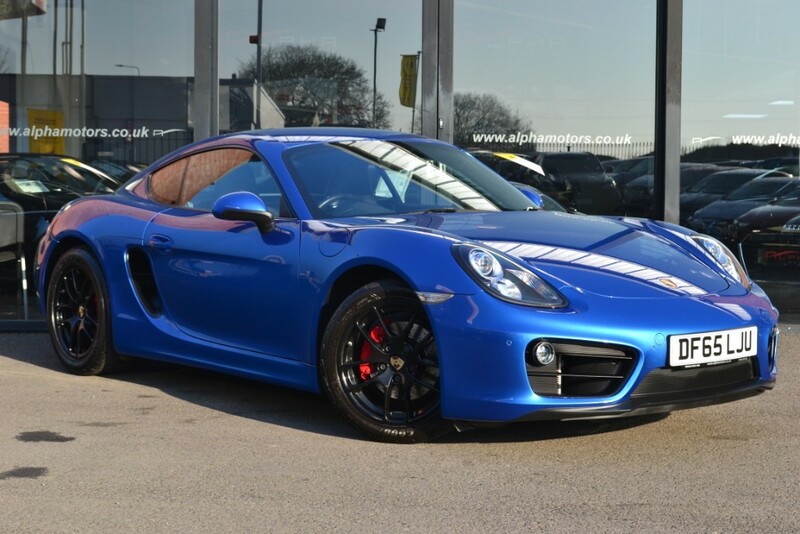 Alpha Motors are pleased to offer this stunning example of the ever popular Cayman PDK. 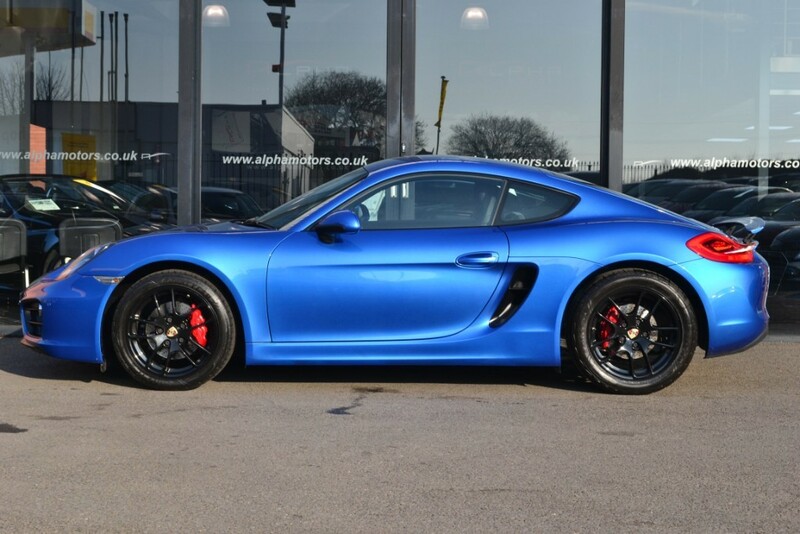 Finished in beautiful Sapphire Blue met with Black Half Leather trim, Extras of Electric Power folding Mirrors, Front And Rear Parking Sensors, 18 Inch Black Cayman Sport Alloy Wheels with complimentary Porsche Crested Colour Centres, Red Brake Calipers with Black Porsche Script, On Board Computer, Air Conditioning, Auto Headlights, SPORTS Mode, Awesome looks with super performance and legendry drive. 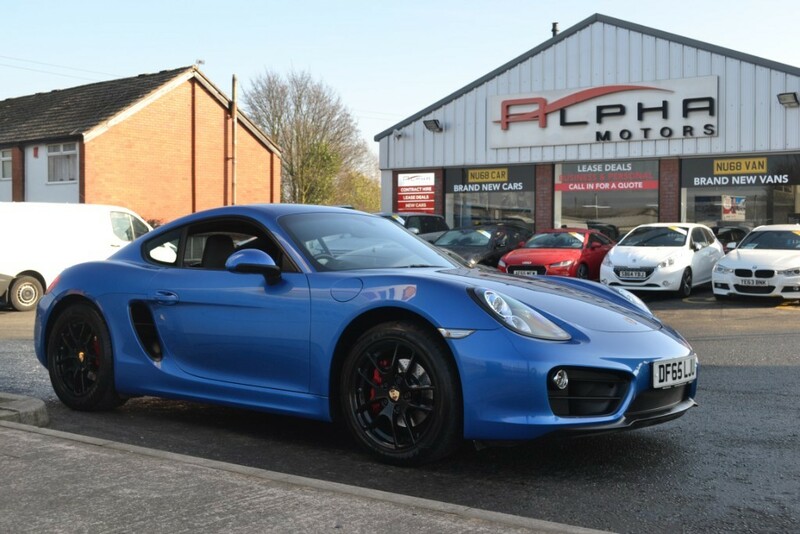 Supplied with 2 keys and Porsche Service History, Fully HPI clear and Alpha Prepared ready for its new owner!! 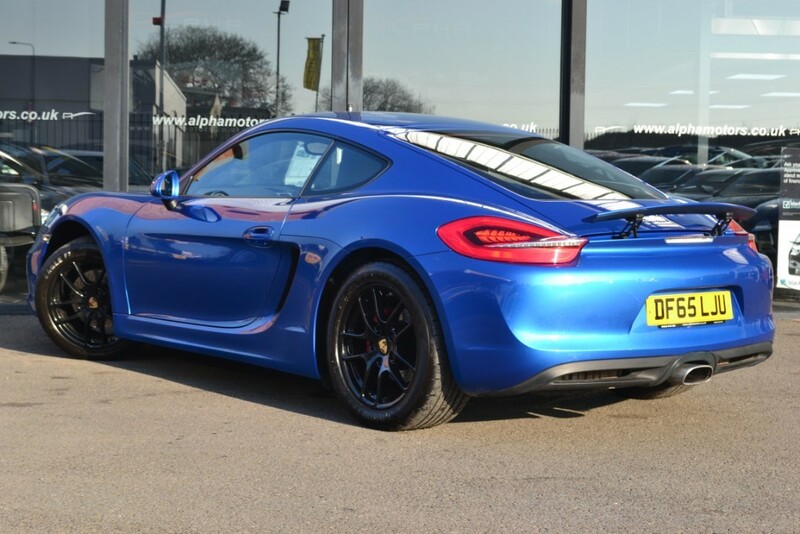 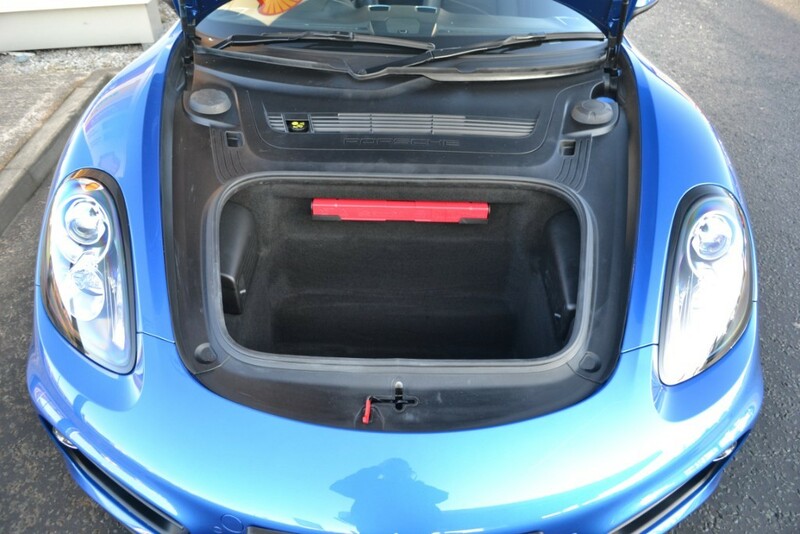 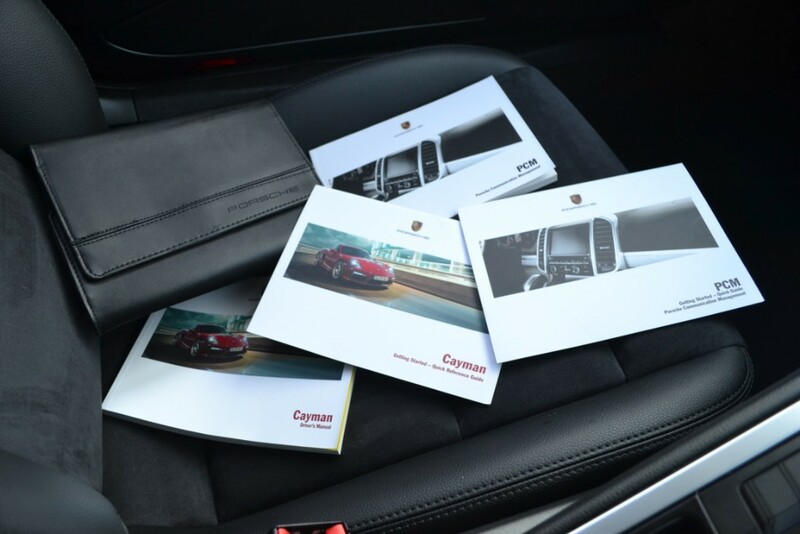 Could this be YOU!The Porsche Cayman, now in its third generation continues its improvements upon its predecessors with an all new chassis, 60mm longer wheelbase, 30kg weight reduction and is 40 per cent stiffer. 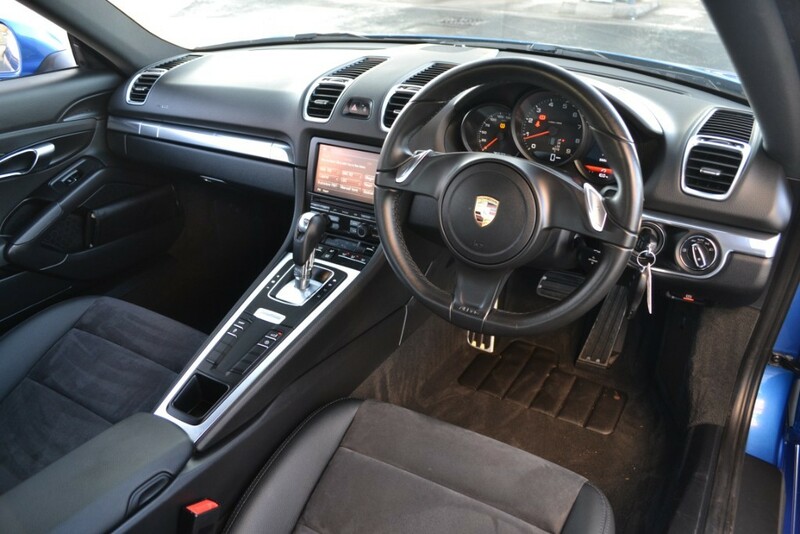 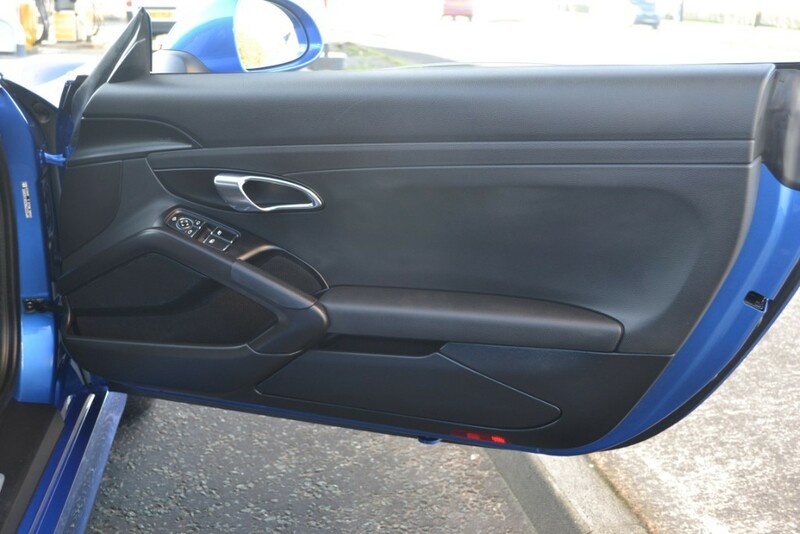 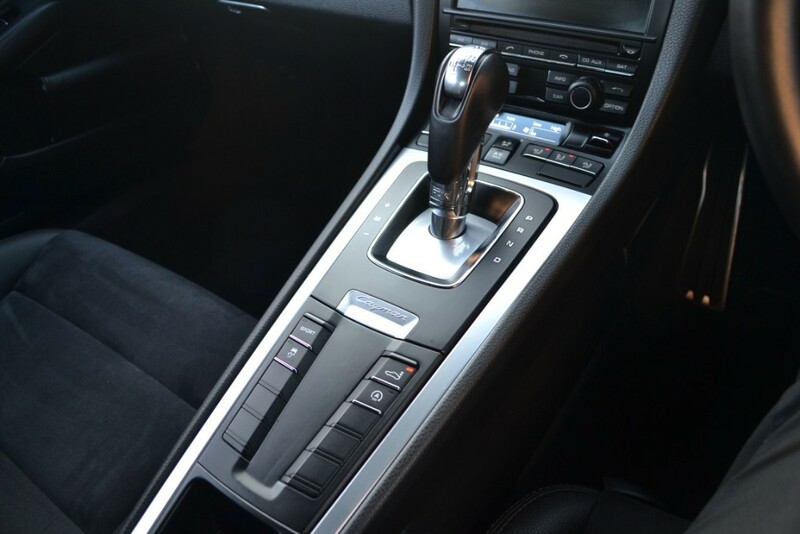 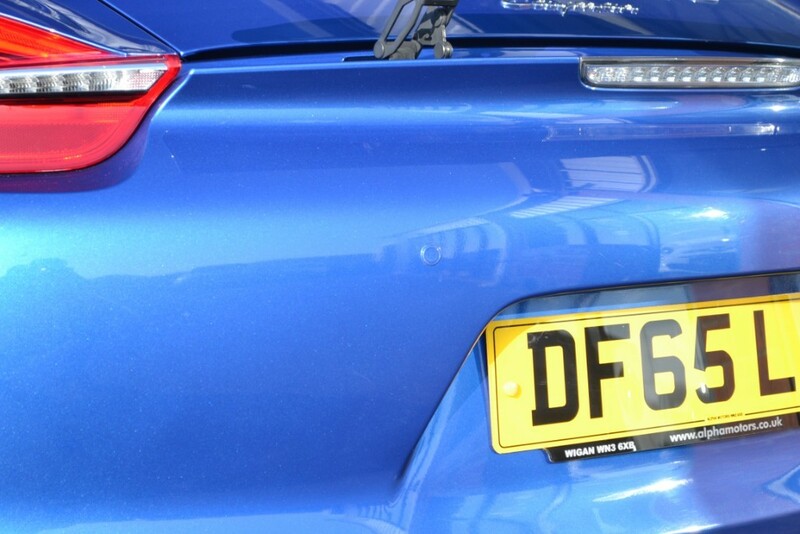 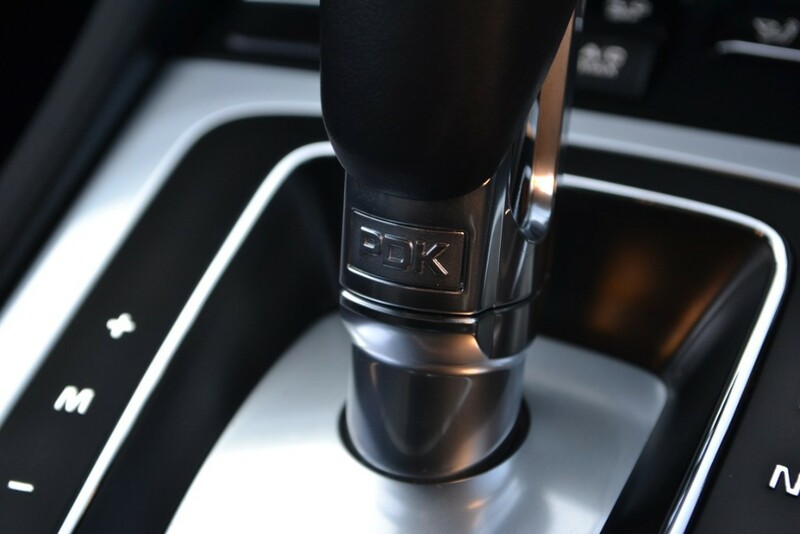 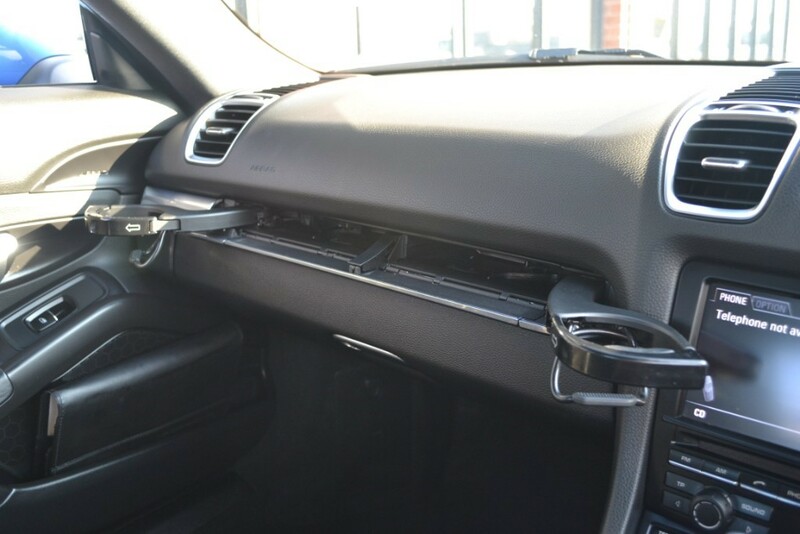 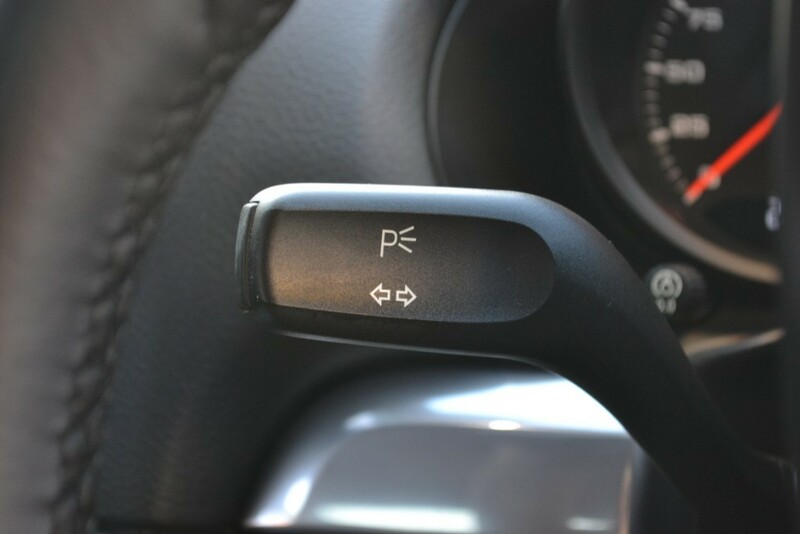 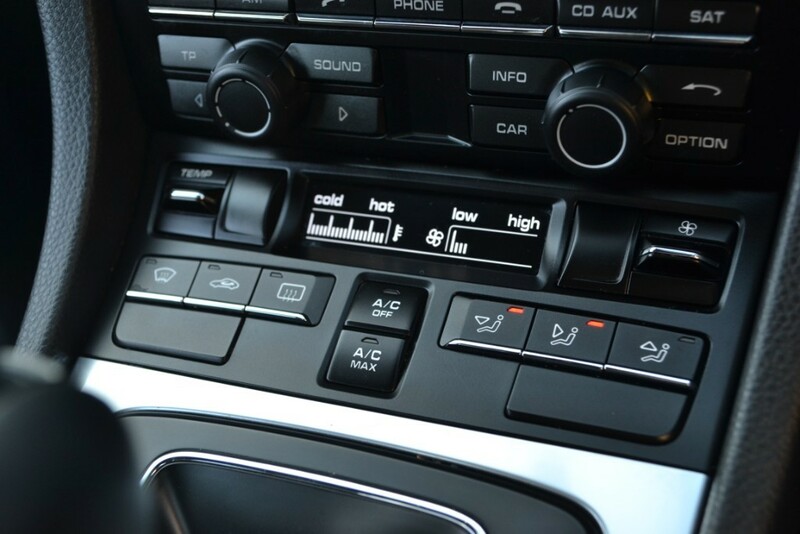 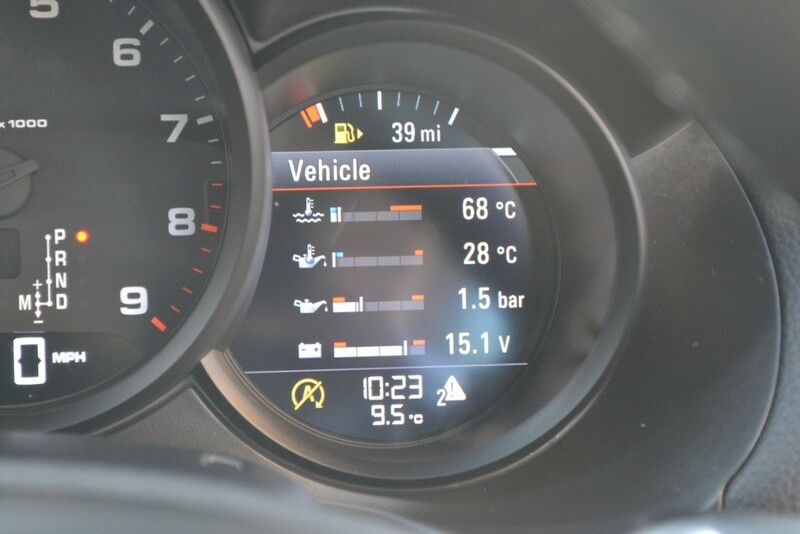 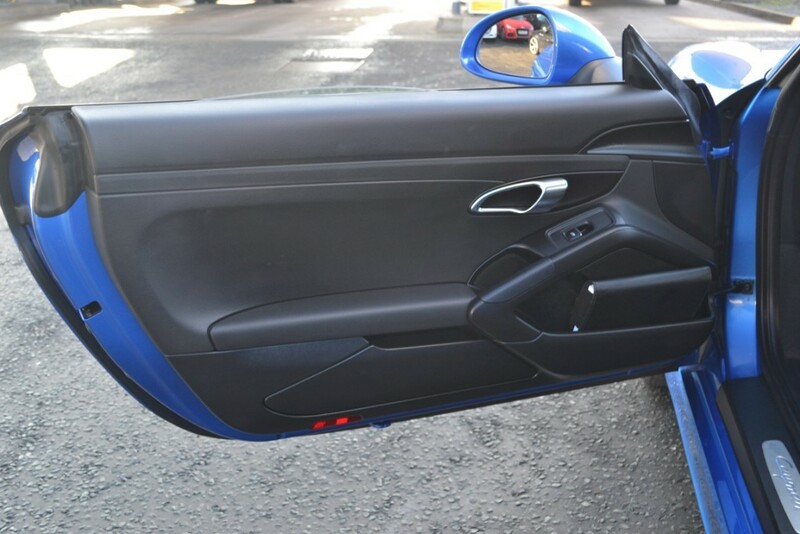 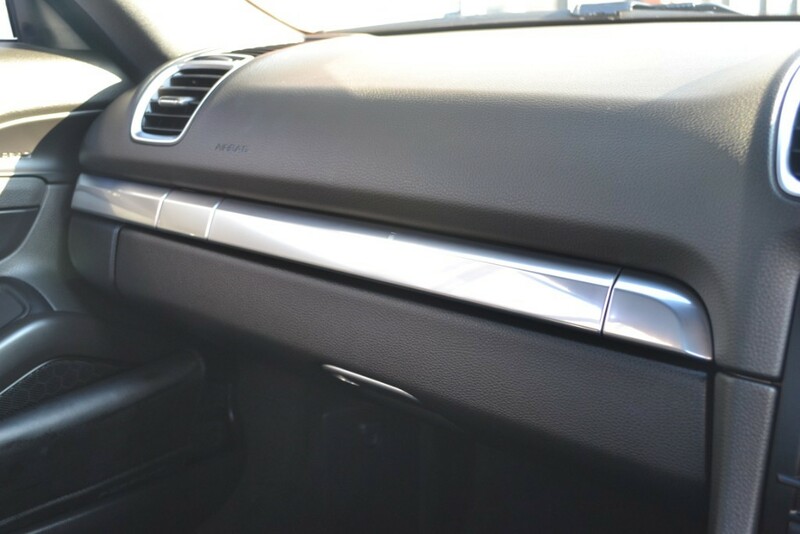 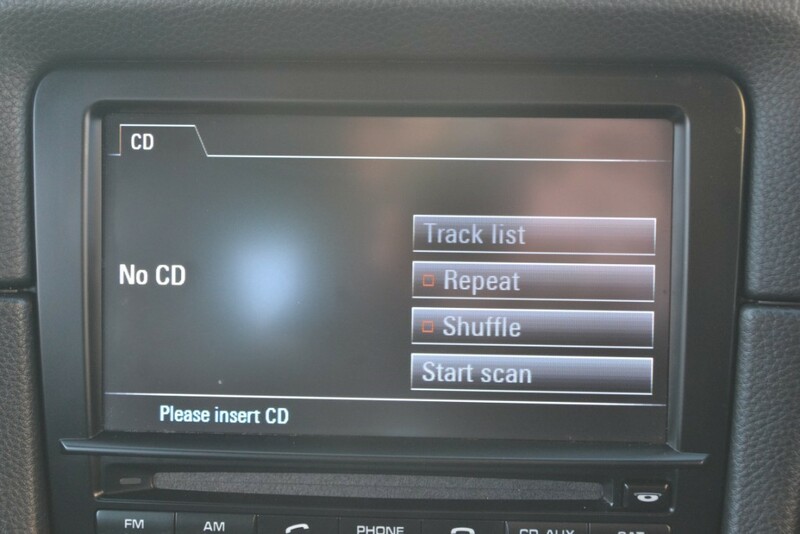 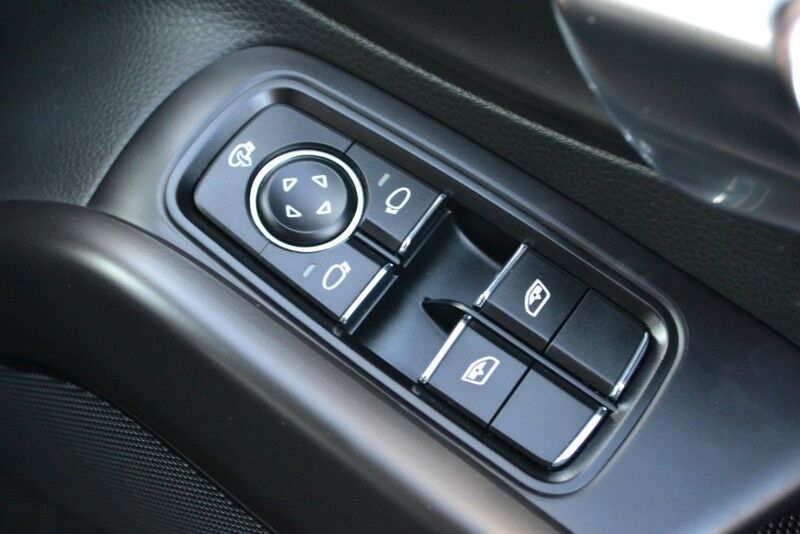 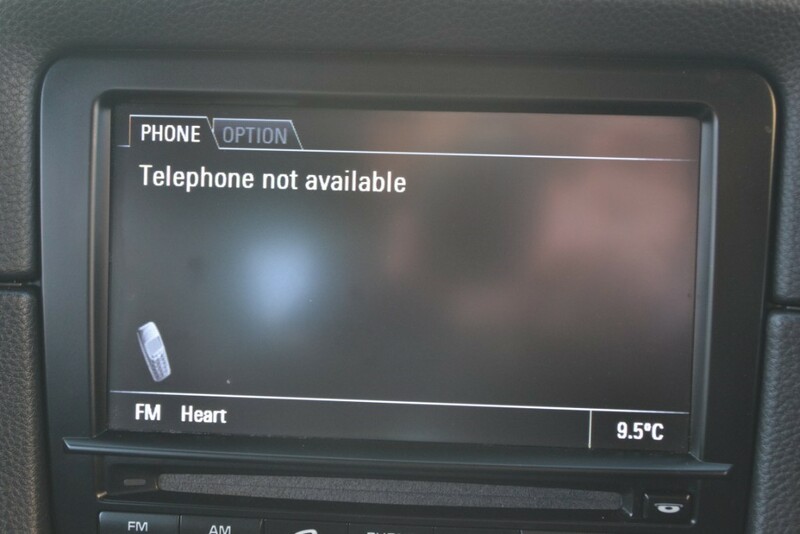 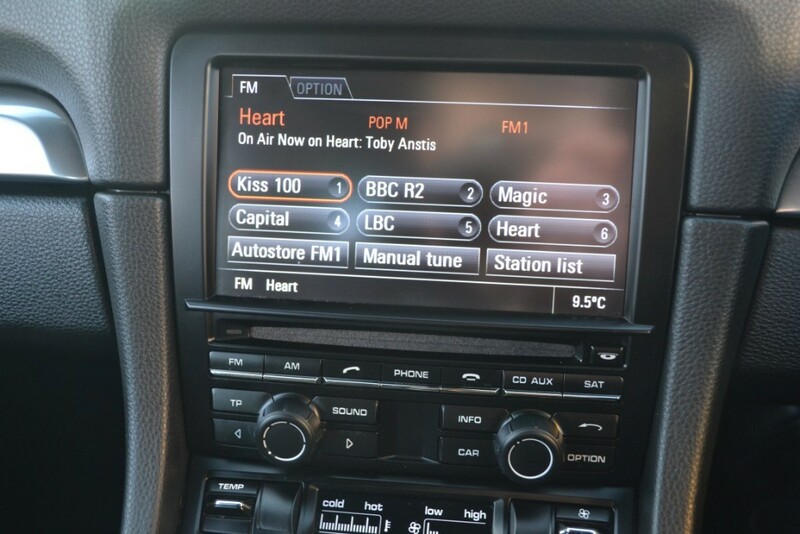 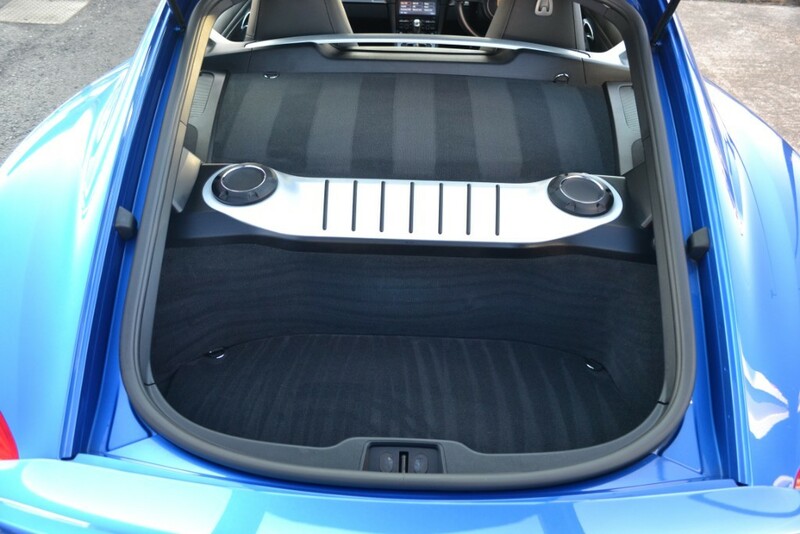 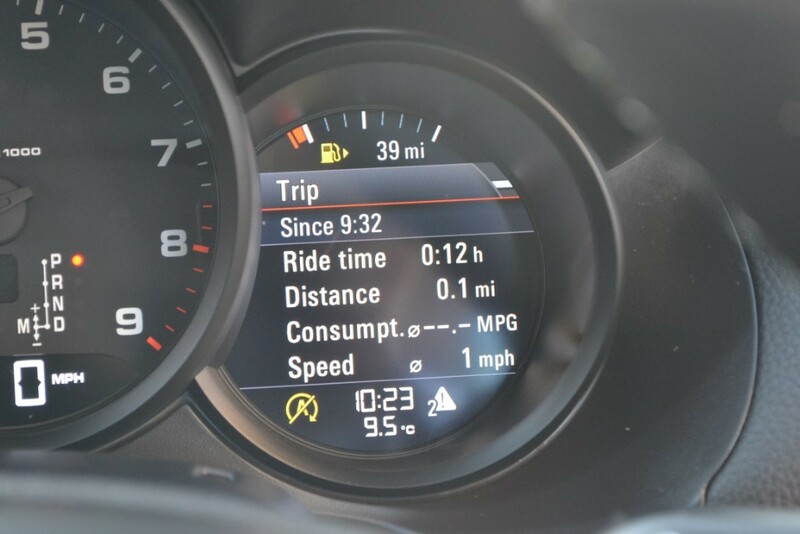 The vehicle is still brutally fast and coupled with the magnificent PDK Gearbox (A £1,922 Optional Extra) the vehicle is able to hit 60mph in just 5.6seconds with a top speed of 164mph but thanks to energy-saving measures such as stop/start, electrically assisted power steering and brake energy recuperation the vehicle is able to average a respectable 35mpg in fuel consumption. 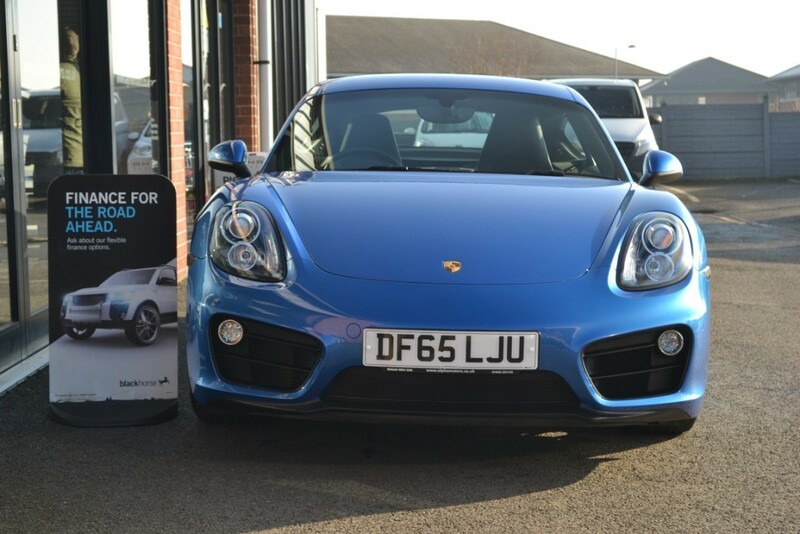 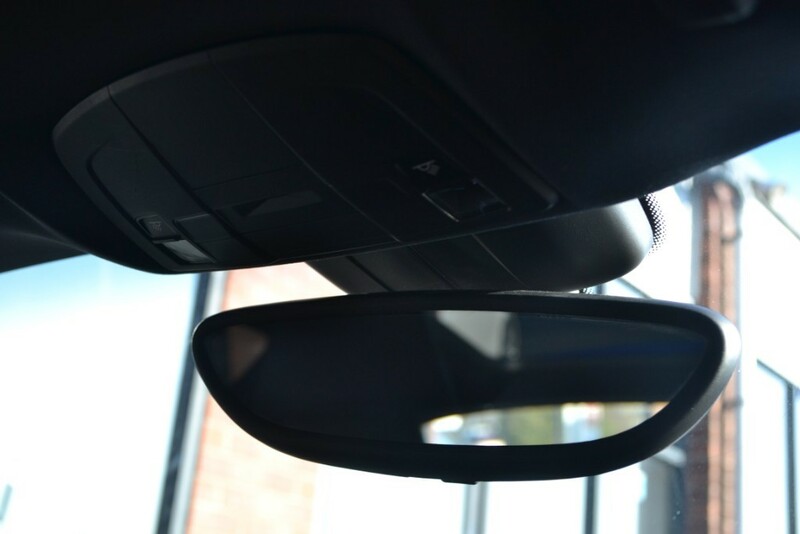 Upgrade to our 6 months AA Nationwide Guarantee starting from only £99 + VAT. 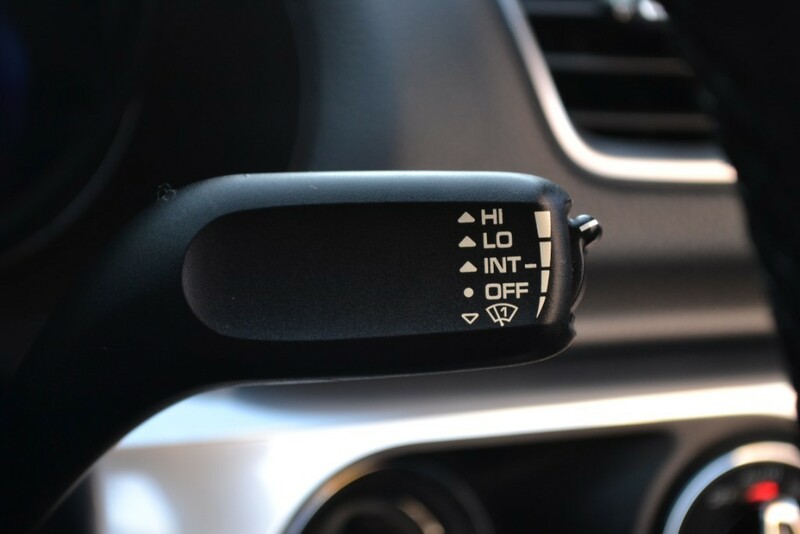 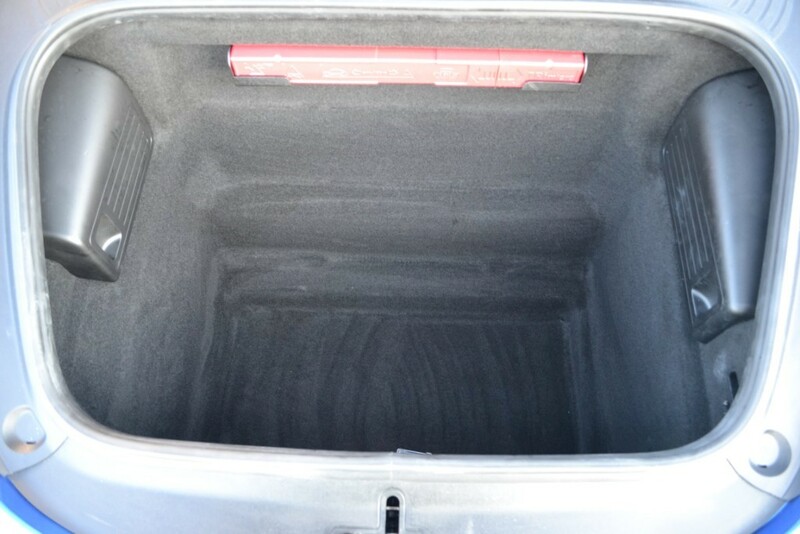 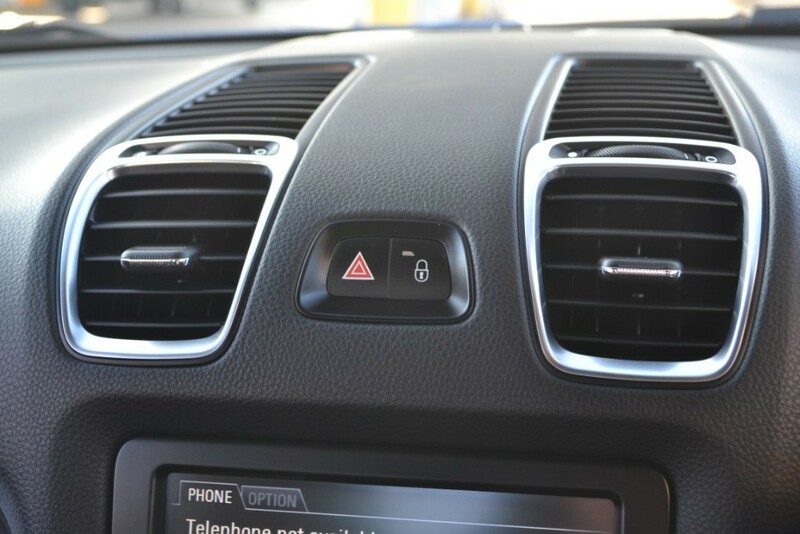 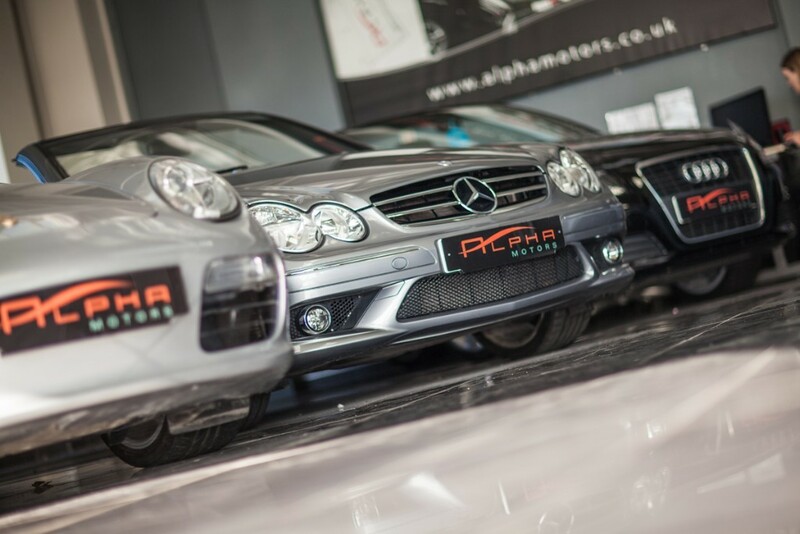 All vehicles are HPi clear and are prepared to the highest standard by our own service department. 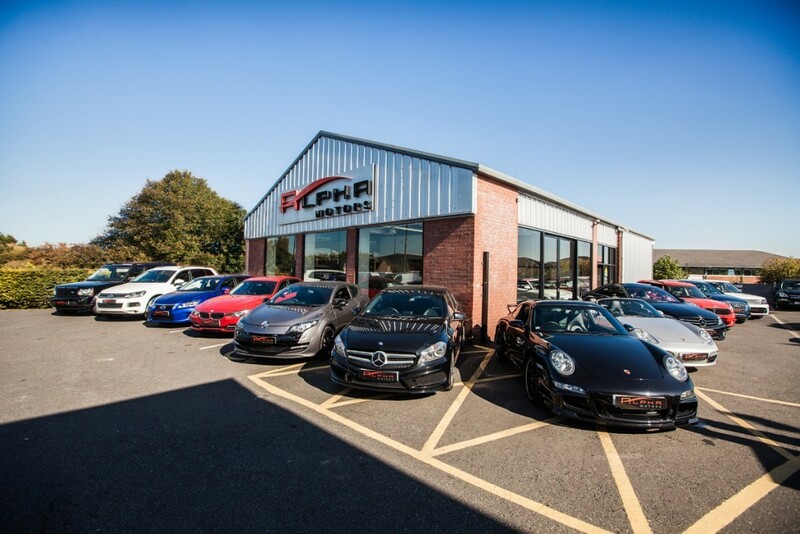 Part exchange & Finance options available. 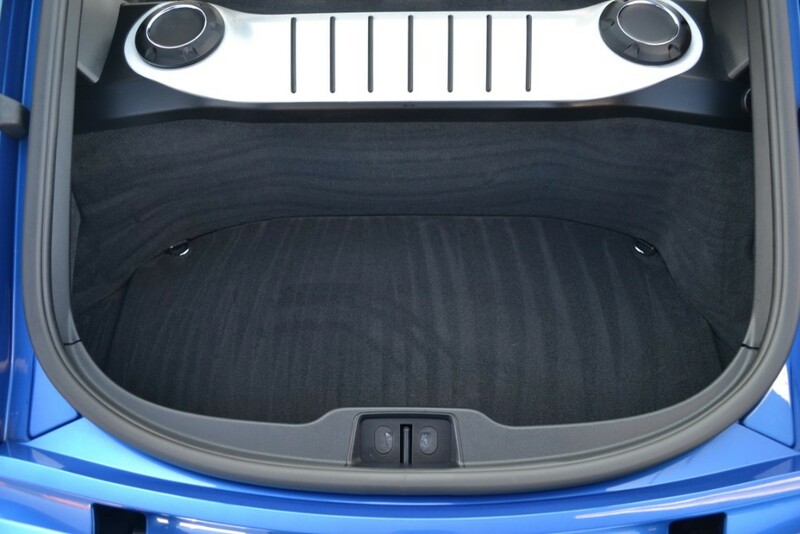 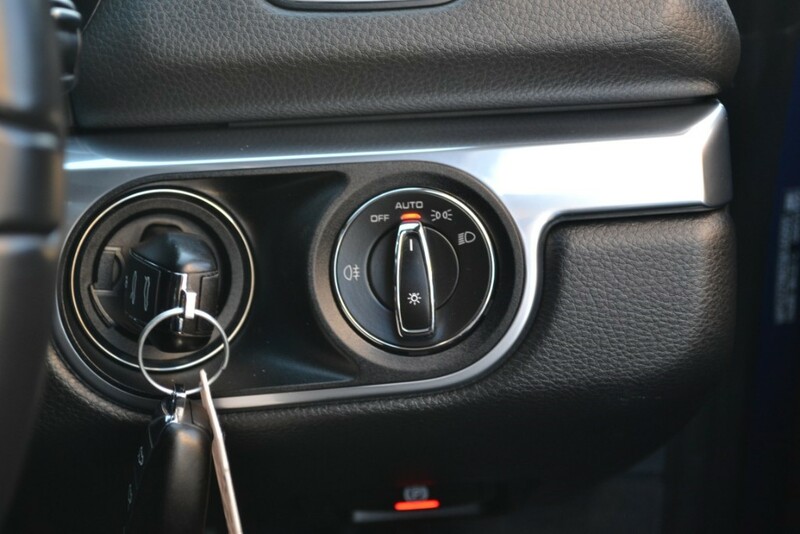 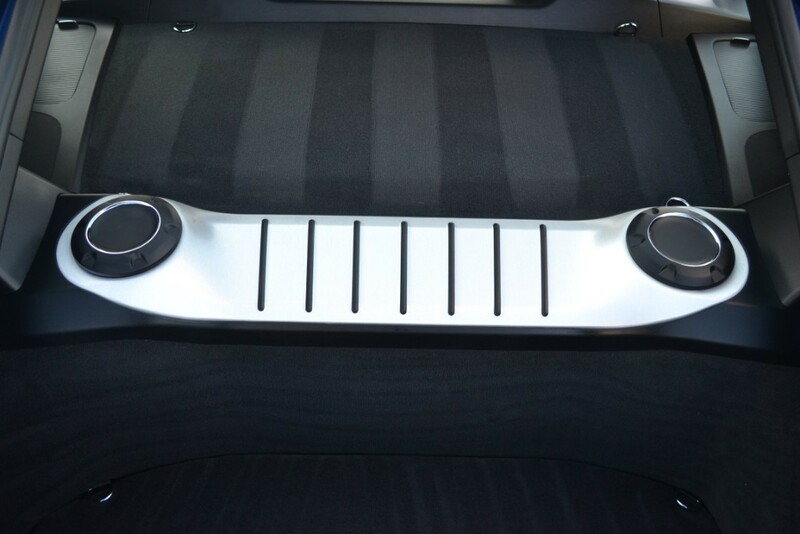 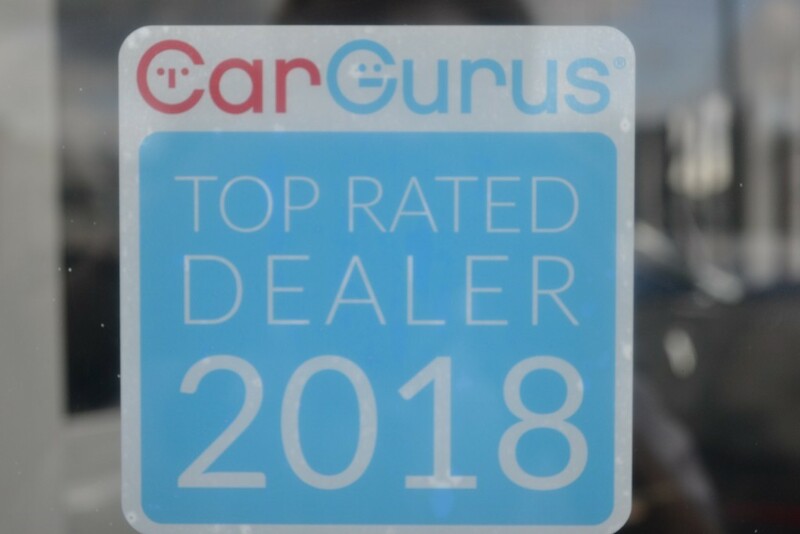 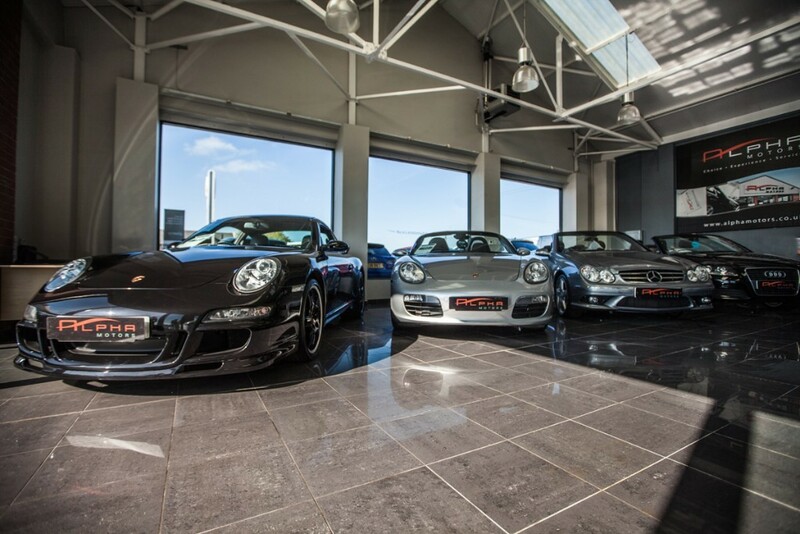 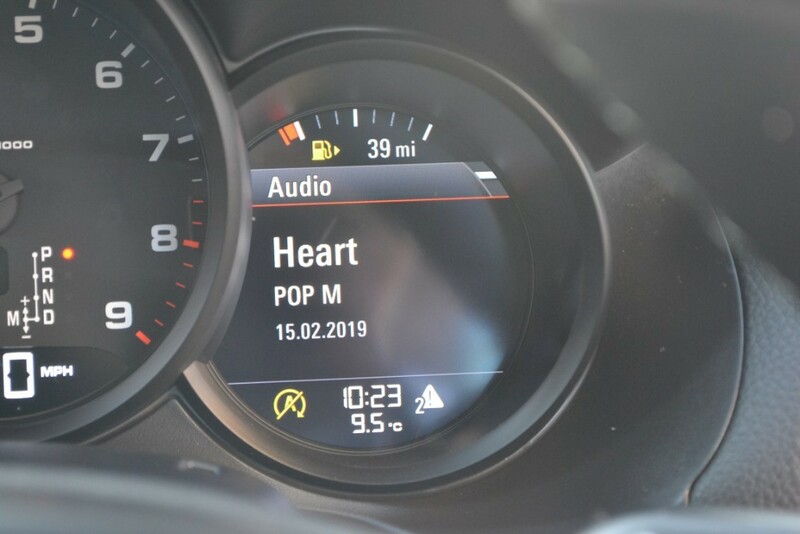 Up to 100 vehicles in stock, we've a comprehensive selection of quality used cars from; Ford, Vauxhall, Volkswagen, Renault, BMW, Audi, Volvo and more. 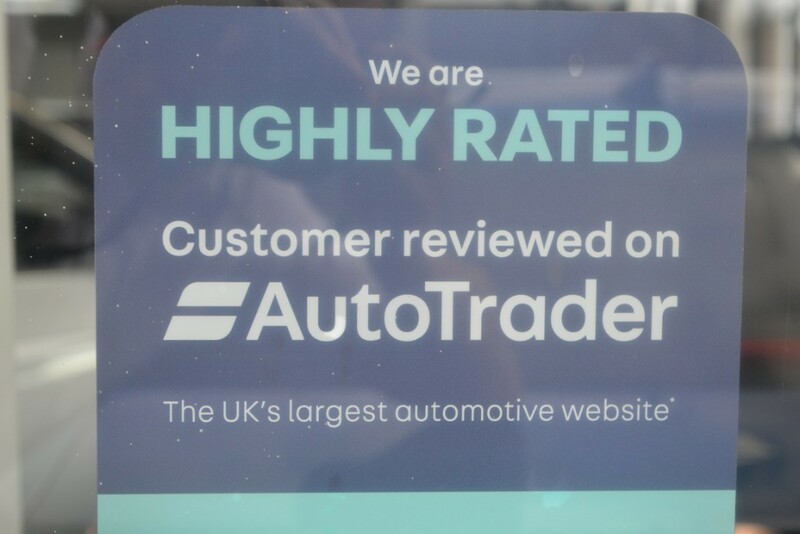 Based 250 yards from the M6 J25, on the A49 from Wigan. 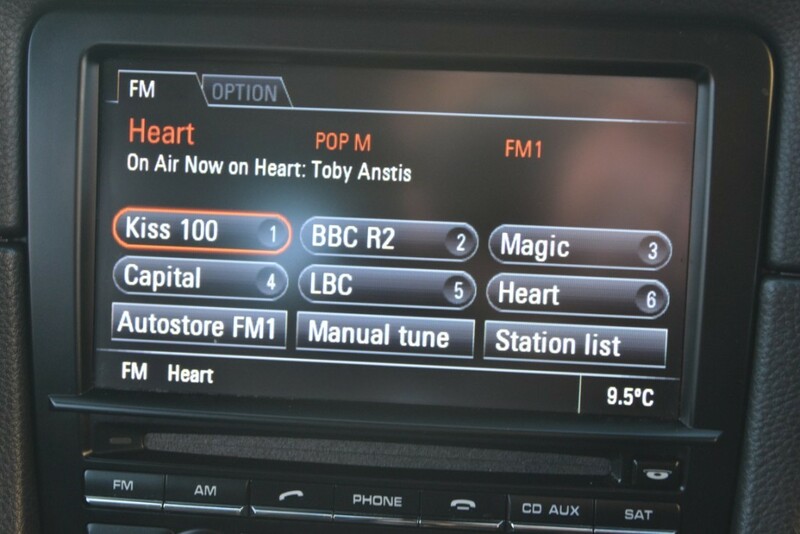 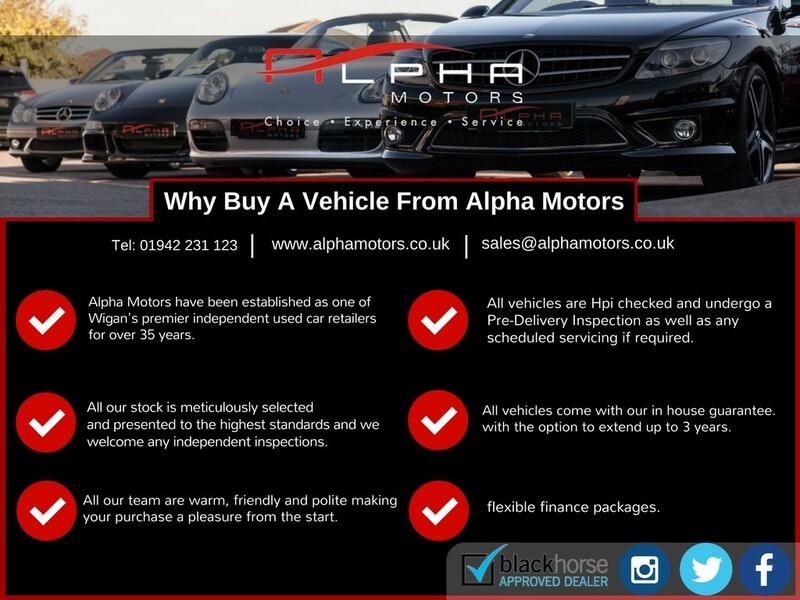 Supplying to customers across Ashton, Manchester, Cheshire, Merseyside and Lancashire. 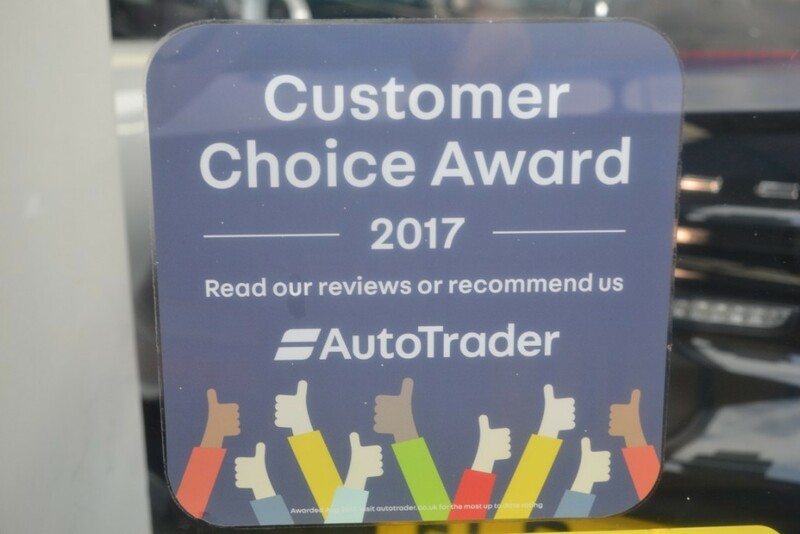 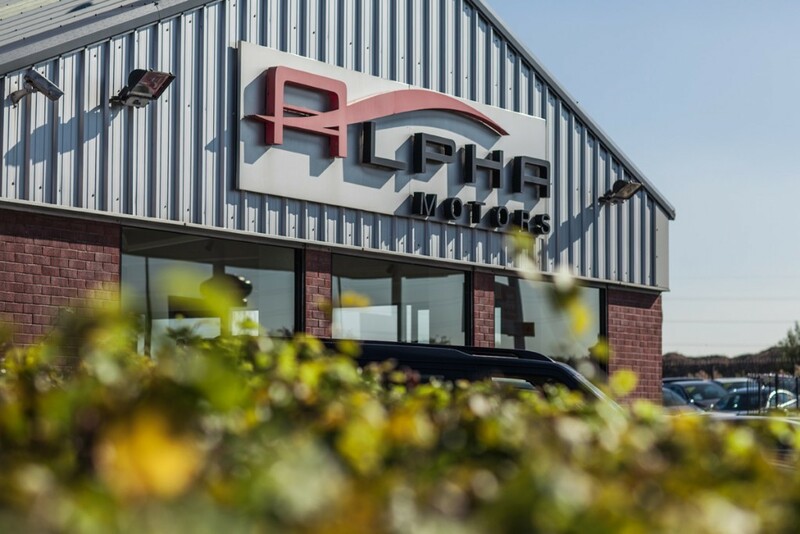 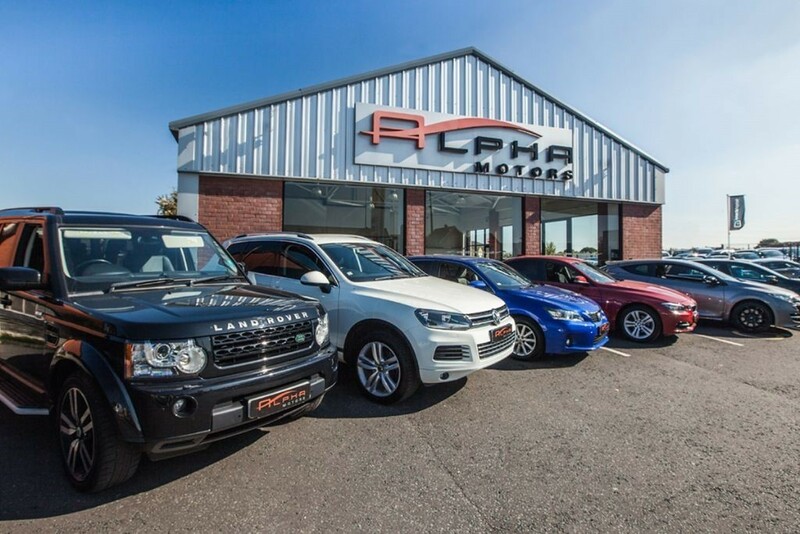 With over 25 years experience, here at Alpha Motors we are committed to providing the highest levels of customer care and satisfaction.